The Islamic Shari’ah is a straightforward and easy system of laws in which there are no complications. It calls for moderation in all matters. The Shari’ah brought to humanity what would perfectly maintain their affairs in this life and in the Hereafter without excess or negligence, and without extremism or fanaticism; rather, all its rulings are entirely characterized by moderation, balance, and gentleness. One aspect of the gentleness and moderation of the Islamic Shari’ah is that it has taken into consideration the conditions and circumstances of people competent for religious assignment. Therefore, not only did it legislate for them rulings which correspond to their conditions and circumstances, it also considered the extent of their determination. The Shari’ah acknowledges that people are not equal in determination and that their activeness in certain matters varies from one time to another and from one person to another. Authorization in Hajj is a part of the norms of the Islamic Shari’ah that Allah subhanahu wa ta’ala has granted as an alternative for His slaves who are not able to perform Hajj for specific reasons. We will mention, in brief, the major rulings relevant to the issue of authorization. The Prophet’s ahadeeth indicate that it is permissible for the Muslim to authorize another person to perform the obligatory Hajj on his/her behalf. The man answered in the negative, and so the Prophet salAllahu ‘alayhi wa sallam said, “Perform your own Hajj first, then make Hajj on behalf of Shubrumah.” [Abu Daw’ood and Ibn Maajah (Ibn Hajar in Al-Fat’h: Saheeh (authentic) chain of narrators)] This hadeeth explicitly permits authorization in Hajj. 1.Authorization must be on behalf of a person who is permanently unable to perform the obligatory Hajj and is not likely to be cured due to a (chronic) disease or old age. The one authorized must be a Muslim whose Hajj would free his liability should he perform Hajj for himself. In other words, if a Muslim authorized a young boy to perform Hajj on his behalf, it would be invalid because if this young boy were to perform Hajj for himself, he would not be discharged of his obligation of Hajj due to his not being an adult. 2. The one authorized should have first performed Hajj for himself; otherwise, his Hajj on behalf of others would be invalid. Therefore, if an incapable Muslim authorized a person who had previously performed Hajj for himself to perform Hajj on his behalf, this authorization would be valid. If an incompetent Muslim authorized a poor man to perform Hajj on his behalf, the authorization would still be valid because Hajj is not obligatory upon the poor man. 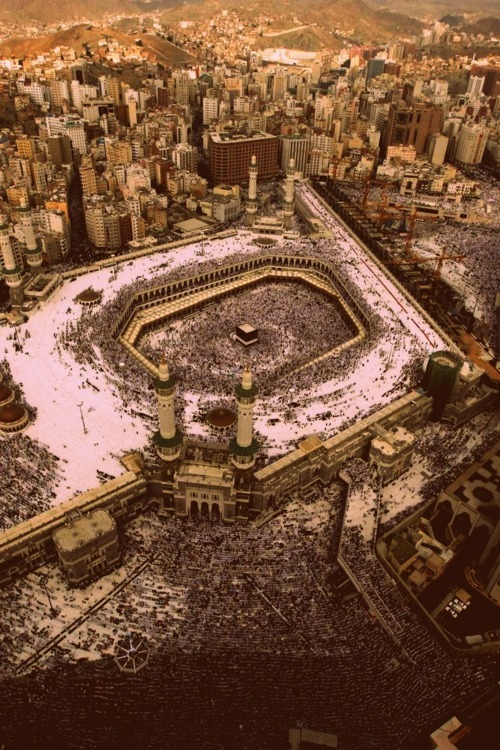 These were the rulings relevant to performing Hajj on behalf of others, and Allah is the Bestower of success.